Tasnim – An American author and former diplomat from Washington, DC, said recent events surrounding Lebanon’s Prime Minister Saad Hariri and his decision to cancel his withdrawal from office prove the Saudi regime’s incompetent foreign policy. “Hariri’s actions display much of the ham-fisted Saudi approach to international politics,” Michael Springmann, the former head of the American visa bureau in Saudi Arabia, said in an interview with the Tasnim News Agency. Tasnim: As you know, Lebanon’s Prime Minister Saad Hariri, recently postponed handing in his resignation upon the request of President Michel Aoun. Hariri had announced his resignation in a televised statement from Riyadh on November 4, citing many reasons, including the security situation in Lebanon. He also said he sensed a plot being hatched against his life. Hariri blamed interference in Lebanon by Iran and Hezbollah Resistance Movement for his decision to quit, an allegation the two have repeatedly denied. What is your assessment of the developments? Do not you think that the resignation was part of a Saudi-Israeli plot to hit Iran and Hezbollah? Springmann: Saad Hariri’s abrupt and peculiar resignation during a visit to Saudi Arabia certainly bears a closer look, especially so since he has now reversed himself, canceling his withdrawal from office. It has all the hallmarks of another Israeli effort to again divide the Arab World, following the precepts of the infamous Yinon Plan. Moreover, Hariri’s actions display much of the ham-fisted Saudi approach to international politics. With his remarks upon his return to power in Lebanon, by way of France and Egypt, Hariri confirmed the darkest views of his actions. 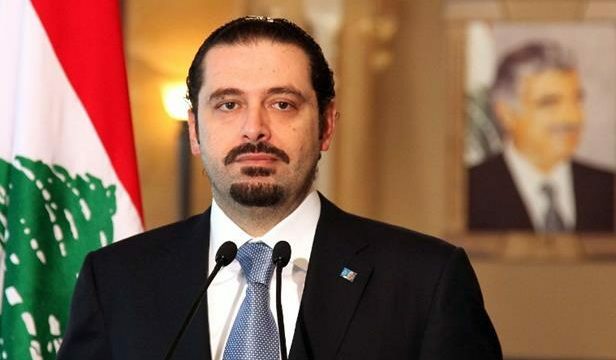 According to Reuters, “Lebanese Prime Minister Saad al-Hariri said on Saturday [November 25] that he would not accept Iran-backed Hezbollah’s positions that ‘affect our Arab brothers or target the security and stability of their countries'”… Additionally, he was reported as saying “…that his decision to wait instead of officially resigning is to give a chance to discuss and look into demands that will make Lebanon neutral and allow it to enforce its ‘disassociation’ policy.” It does not take a crystal ball to realize that Hariri, a dual Lebanese-Saudi citizen, meant Hezbollah and Iran. And that his intent was to limit their activity in Lebanon. It is also eminently clear that Hariri’s resignation, widely believed to be the result of Saudi pressure, had originally been intended to destabilize Lebanon in general and Hezbollah in particular. It was the apparent Israeli and Saudi hope that the prime minister’s abdication would touch off political infighting in Beirut and elsewhere in the country. The plan seems to have been to get the Sunni, the Shiite, and the Christians to go after each other, creating a new civil war and the destruction of Hezbollah as a fighting force allied with Iranian goals in the region. Tasnim: What do you think about the reasons behind Hariri’s decision to postpone his resignation? Springmann: Hariri likely postponed his second resignation because he still harbors the notion that he can crush Hezbollah or severely hamper its activities. He is undoubtedly deeply involved in negotiations with Israeli and Saudi-backed groups that might affect this. Lebanon is a religiously-divided state filled with refugees from Israeli and American wars in the region. As the result of 1948’s ethnic cleansing of Palestine, UNRWA states that there are 450,000 registered Palestinian refugees in Lebanon, 10% of the country’s population it claims. UNHCR notes that there are over 1 million Syrian exiles now registered in what used to be the Switzerland of the Middle East. Hariri likely believes he can capitalize on this wave of migrants, Lebanon’s limited resources, and its many religious and ethnic rifts. His idea seems to be that, by uniting the many discontented, he can turn them into a force to crush Hezbollah and end Iran’s influence in the area. Adding to pressures for the delay is the continued existence of Hariri’s family firm, Saudi Oger. There is the unspoken threat from (Saudi) Crown Prince Mohammad bin Salman: do what we want or you lose a substantial portion of your wealth. Then, there also is a hostage situation. The British paper Independent alluded to this on November 15. In an article by Robert Fisk, the journal noted “[French President] Macron wants Hariri’s wife and two children to accompany him to Paris – so there are no more hostages left behind. But there are. There’s his brother Bahaa, for a start.” How many others are there? Fisk does not say. Tasnim: Recently, there has been an exodus of nationals of some Arab states from Lebanon. The exodus comes in response to the call from the foreign ministries of Saudi Arabia, Kuwait and the UAE to their respective citizens who are in Lebanon to return to their countries and to avoid travel to Lebanon. Is there any possibility of an impending war against Lebanon? According to Al Jazeera, Lebanese businessmen and consumers are holding onto their funds, fearing outbreak of war. Consequently, the economy is slumping, a good outcome for the Saudis and Israelis, without any of the fighting that might generate bad press for them. So far, Saudi Arabia has only threatened to pull its funds (US$4 billion) out of Lebanese banks unless the country’s president, Michel Aoun, does not curb Hezbollah. As for the possibility of a shooting war, in this author’s opinion, it is still up in the air but not inconceivable. The calculus behind death and destruction in Lebanon depends on whether Israel believes Hezbollah can effectively repulse another Zionist attack on the country. It also depends on how well the Saudi crown prince can take effective action in bombing Lebanon. The Kingdom’s war against Yemen is still being ignored by the Western media. However, an attack on Beirut, the Paris of the East, might spark a blow-up in France and other countries with close ties to Lebanon. Mohammad bin Salman might find his position in the Kingdom untenable.